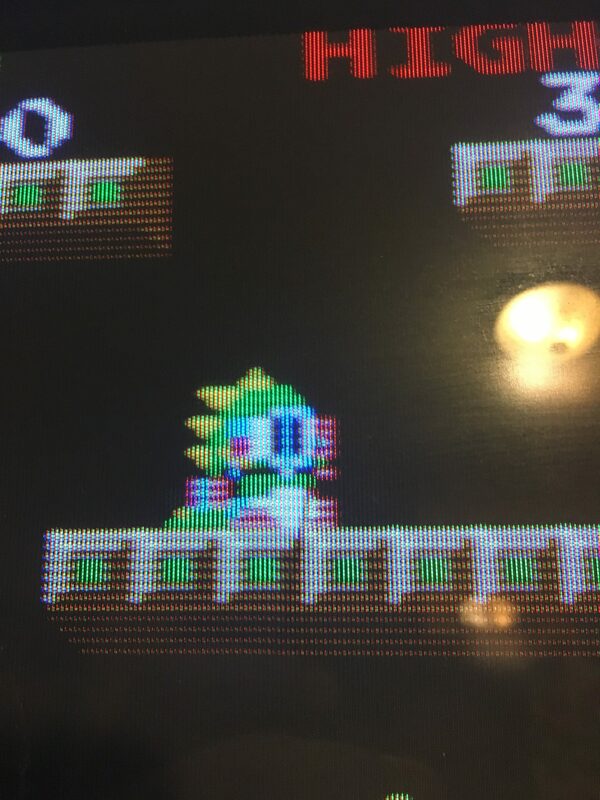 I purchased a “mostly working” original Taito Bubble Bobble PCB for a good price, with the hopes of repairing it and adding it to my collection. The seller mentioned simply that there was an issue with the sprites. Upon testing the PCB, the fault presented itself. 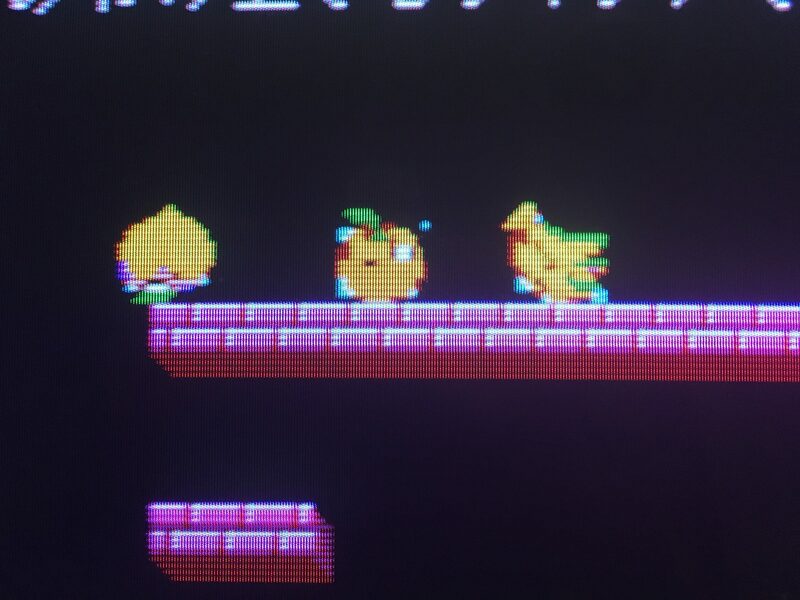 When the sprites rendered “normal” direction, they were fine. 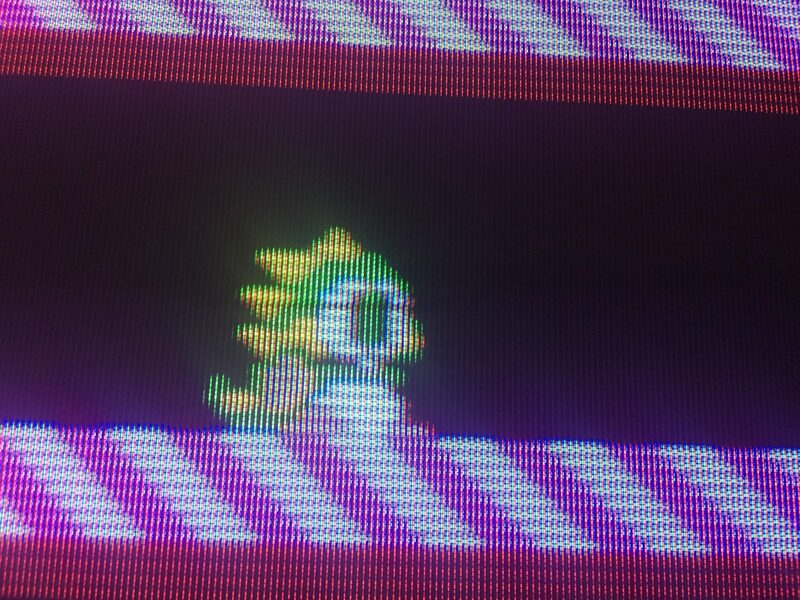 When rendered “horizontally mirrored”, extra odd-colored pixels were being drawn with the sprite. 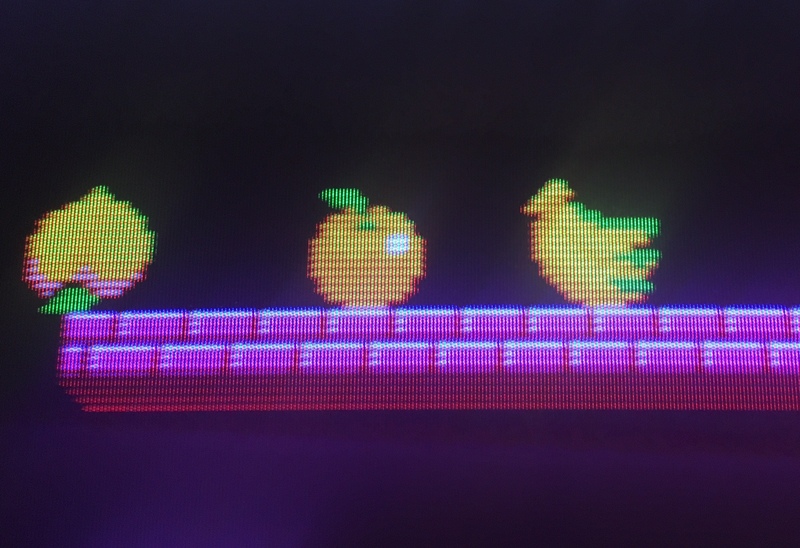 You can see the pink pixels to the right of Bub and the baby blue pixels near the fruits. It was especially noticeable on certain enemy types, quite distracting from the gameplay. I investigated the roms, the ram and most of the TTL logic IC’s, all of the usual suspects tested OK. The PCB is in really nice shape, so I knew the issue wasn’t physical damage. At this point I was pretty stumped, and decided to email my good friend Caius. After explaining the symptom, and what I had already tested, he suggested looking into the 74ls163 4-bit counters near the graphics roms. They are a bit tricky to test with a logic comparitor, so I opted to test them out of circuit. All 5x 74ls163’s passed the TTL test in my Xeltek, so unfortunately the fault was not there. I decided to not give up hope however, and to look into the other TTL chips I was unable to test with my Logic Comparitor. I came across a bank of 4x 74LS194 shift registers. I tested them out of circuit (since my comparitor couldn’t analyze them), and finally I found the fault! One of the 4 registers was bad. 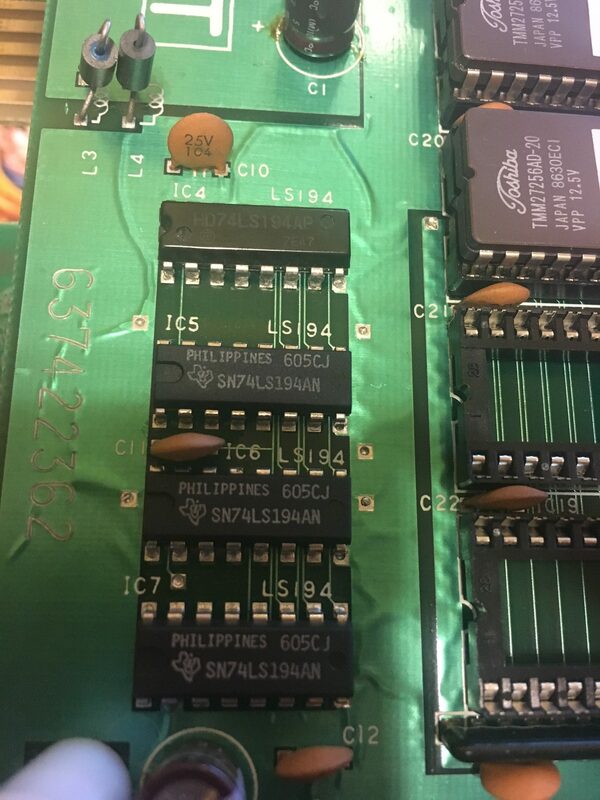 After digging through nearly my ENTIRE parts boards inventory, I finally found a donor IC on a dead Double Dragon board. It turns out not many arcade games used 74LS194’s in their design (likely they became integrated in custom graphics ASIC’s instead). I swapped the good shift register in, and the graphics problems are now fixed. Big thanks to Caius for assisting me with this repair! He got me on the right track, and now this wonderful game can be enjoyed for years to come!